The highly unequal distribution of wealth in this region means that many families are still excluded from economic processes. Many young people do not complete even middle school and therefore lack opportunities later in life. All these factors place great strain on families, often leading to break-up. Puerto Varas is a small town of about 30,000 inhabitants located on the shores of Lake Llanquihue in the Los Lagos region of Chile. This region is very green, wooded and boasts impressive volcanoes. Thanks to its location, it is a popular tourist destination, both for national and international visitors. Besides tourism, other important pillars of the local economy are the port of Puerto Varas, fishery and agriculture. Los Lagos is one of the provinces with the lowest unemployment rates in the country but, surprisingly, poverty rates are well above the national average, affecting over 21 per cent of the population. This is mainly due to the fact that over one third of the population here is “self-employed”, meaning their labour is informal in nature. Often, these people are not able to make enough money to adequately sustain their families, despite working very long hours. As opposed to a formal, salaried position, this type of work is precarious, lacking in social security and general stability. But for many people, it is the only option. Children whose parents have to work under these conditions are often neglected, left to fend for themselves during the day. When parents return home after a long and difficult day, they don’t have the energy to give their children the attention they need. In the worst cases, this precarious lifestyle can lead to children being abandoned. Young people under the age of 20 make up 36 per cent of the population here. In struggling families, it is no rarity that children are expected to contribute financially as soon as possible. In this region, 23 per cent of young people between the ages of 14 and 18 are no longer participating in education of any kind. These young people’s contribution may alleviate the family’s difficulties in the short term, but ultimately this will only lead to young people perpetuating the cycle of poverty their parents are trapped in. Illiteracy here is also higher than in the rest of Chile, at 5.4 per cent, and as much as 8.1 per cent of the population in rural areas are unable to read and write. SOS Children’s Villages began its work in Puerto Varas in 1984. There is a holiday cabin here, on the shore of Lake Llanquihue, which can be used by children from all SOS Children’s Villages in Chile, allowing them to experience the excitement of going on holiday at least once in their childhood. For children from the Puerto Varas area who are no longer able to live with their parents, twelve SOS families can provide a loving home for up to 108 children. In each family, they live with their brothers and sisters and are affectionately cared for by their SOS mother. 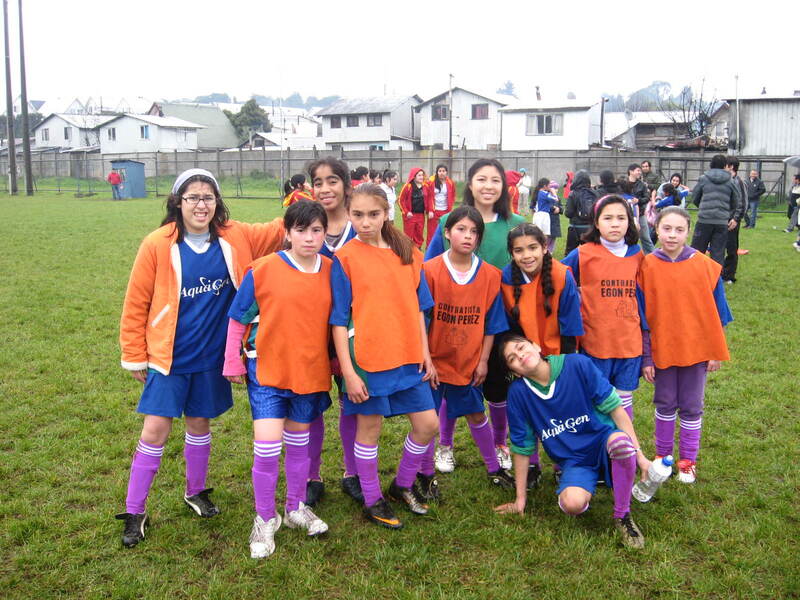 The children attend local schools in nearby Puerto Montt and are therefore very much integrated into the community. When young people from the children’s village are ready to leave their family in order to pursue further education or vocational training, the SOS Youth Programme provides shared accommodation for over 60 young people from the Children's Villages Bulnes, Concepción, Chaimávida, Coyanco and Puerto Varas. The young people come and live together here and, with the support of qualified counsellors, they learn to take responsibility, plan their future and prepare for independent adult life.